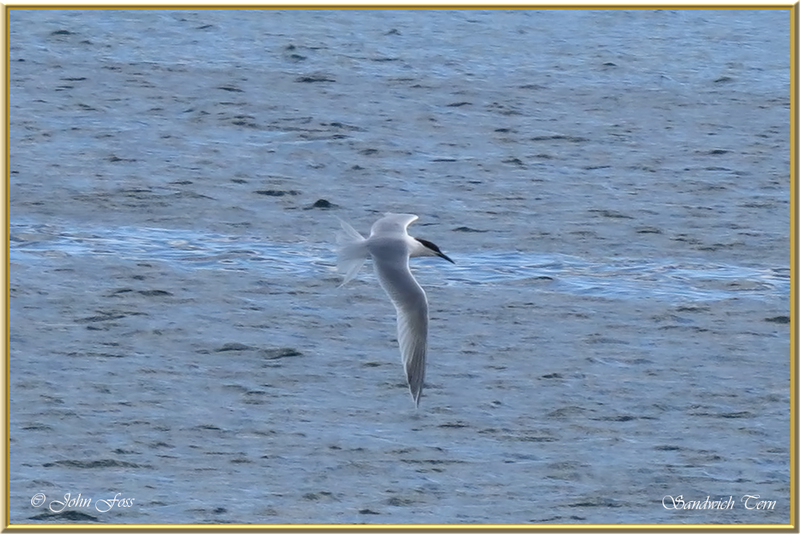 Sandwich Tern - Summer visitor. 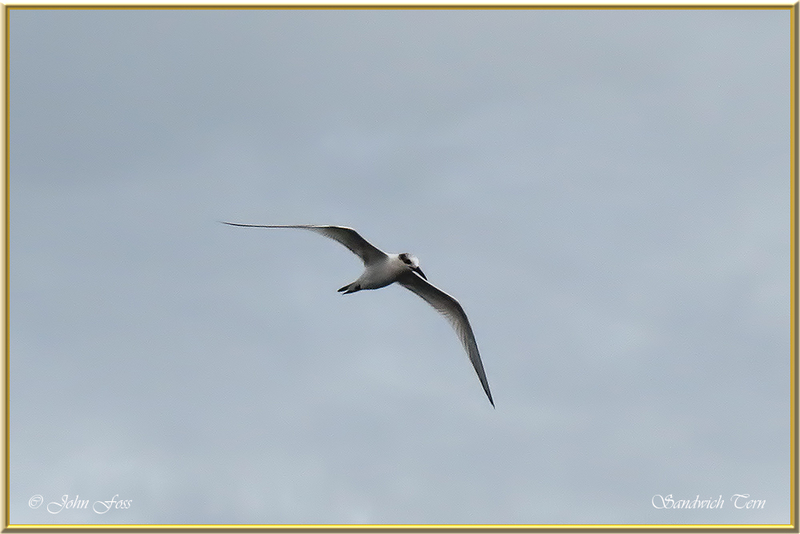 With pointed wings and forked tail. It has a yellow tip to the black bill. 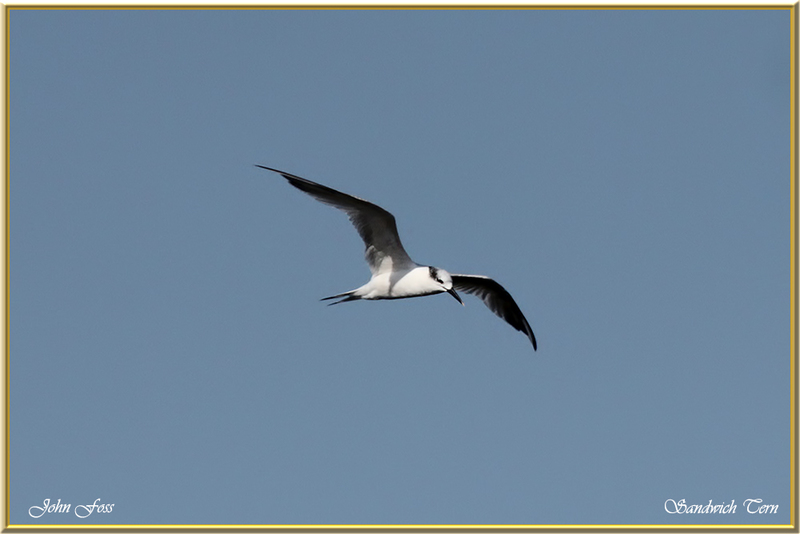 This identified them for me at Praia da Boca do Rio in Portugal. 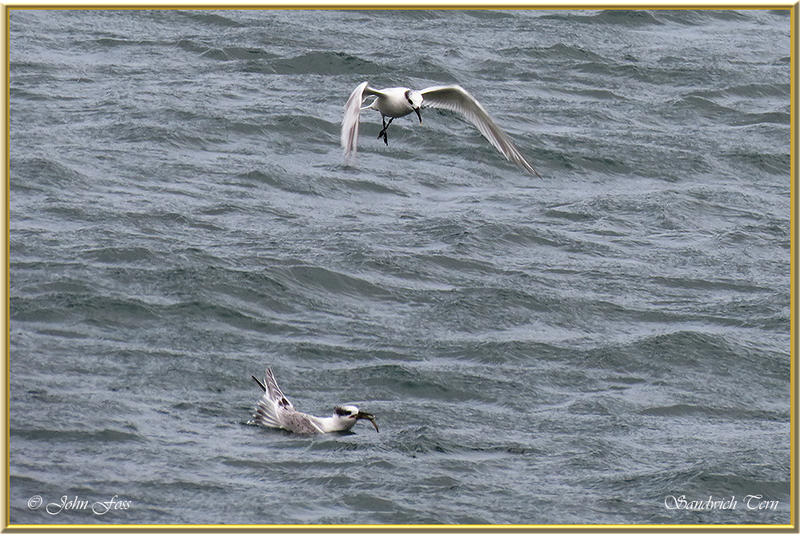 They are very quick and a pleasure to watch diving for surface fish which is their main diet. They winter in Africa. 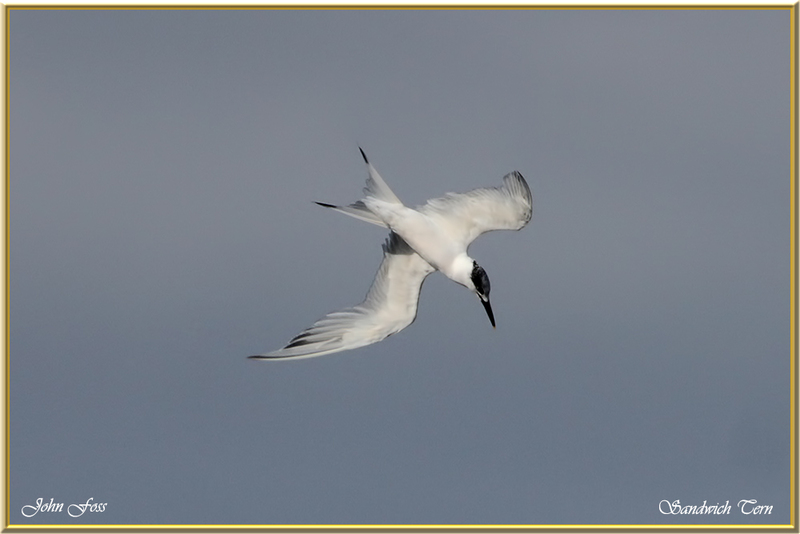 Sandwich terns are amber listed in Ireland due to localised breeding population. Not so easy to photograph due to speed and agility! Better luck next time!